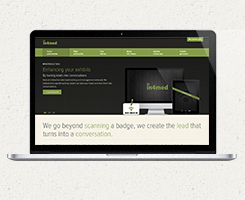 2012 November | in4med Inc.
We are excited to release our completely re-designed website! The new and improved website was built with a fluid/responsive layout, allowing the site itself to adjust based on the device displaying the website. This ensures we are delivering content to you in the best format for your device. car rental Beyond just looking impressive, the new site shows off and explains all the amazing new and current features available to you!